Our 15 year old Poodle Toby was crashing into walls when playing and jumping over non existent objects when out on walks. We started him on Cataractin and Daily Sure as this combination is recommended by the makers Natural Wonder Pets. We could see a difference after a couple of weeks and he continues to progress. This is a fantastic product and so much more safe than surgery. We are treating our 7 year old cat with cataracts on the right eye. We are over half of the bottle and the coating has almost completely dissolved. We add the recommended dose over moist food andshe takes it without any problems. If needed we will continue with a second treatment. I have been using Cataracin since 2 years and I find this product effective even if the cataract was already advanced but at least the other eye is protected.. Thanks. Raffaella. If you want more detailed information about this product, please search over the web for the manufacturers official page by inserting "Natural Wonder Pets Cataractin" or contact our customer service. IMPORTANT NOTE: If this product does not give results, it is almost certainly because the animal is suffering from diabetes (one of the causes of cataracts). SOLUTION: match Cataractin with the Blood Sugar Balance and improve/modify the diet also by adding probiotics for pets (Probiotic Miracle). BEST RESULTS if combined with Cataract Eye Drops available in our shop also in a more convenient offer (pack)! We started it 3 weeks ago .. my Zelda (12 year old Maltese) developed cataracts to the right eye as well and since I wanted to avoid the complications of surgery (which have unfortunately occured to the left eye) I decided to try this product and I must say that every now and then she seems to see from her right eye: she avoids obstacles out of the house which means that she can see them .... I really hope that I will be able to say the she finally sees very soon. Had I discovered this product 2 years ago we would have avoided the surgery!! Congratulations to the company and a warm thank you to Dr. Aljaz Vavpetic who is always available to advise us in the best possible way. I have to admit that I was skeptica but I wanted to try. My 10-year-old dog has been seeing less and less because of cataracts; the veterinarian told me that there was no remedy. However, improvements with cataractin have been seen. The gray veil in her eyes is dissolving itself and her vision improvement is obvious. In addition, the eyes are cleaner even externally without any dense lacrimation which stains the fur. In short, his look is coming back more alive and awake ! Extracts without alcohol: Blueberry, Weeden, Ginko Bilboa, Dandelion and N-acetyl L-carnosine (NALC), distilled water, vegetable glycerin, organic apple cider vinegar, citric acid, all certified USP (Pharmacopoeia Americana), Kosher, no GMO. My 14 year old Labrador had a moderate cataract on his right eye and a slight cataract on the left eye. At the beginning it was difficult to see an improvement on the worst eye, but afer the 3rd bottle it became evident that the gray coating was slowly dissolving. After the 4th bottle, it is much better and now I'm sure that with one more bottle both cataracts will be over. I confess I was quite sceptic at the beginning that it would work, but now I totally recommend it!!! Good evening I have been using this product for a couple of months on my cocker Laika who has a cataract to one eye. We are happy with the product and we are continuing with the treatment. Good morning my name is Stefano and I have to say that I discovered the product by myself and my IRREPLACABLE Rex READY who is 10 years old has started started everything at the beginning of September ; now it has been two weeks (just since last night) that I give him two droppers a day and it seems that the gray-blue circle is starting to regress. However, when I take him for a morning walk, his eyes look like two glassy balls, CRYSTAL CLEAR, but as soon as we get back home the opacity returns. Can anyone give me an answer to this phenmomenon so I can calm myself a bit. 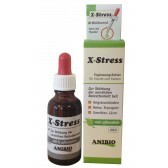 However the product is GREAT and since I live in Cascina (PI) I cannot even fin dit at the BIGGEST EUROPEAN PHARMACY. Great product. I use it for my 14 years old yorkshire and I see the results…I recommend it. I've been using the product for a couple of weeks on my 21 year old BEN! It really seems that the white coating which is already present on one eye and which was also beginning on the other is at least slowing its progression. I'm satisfied for now as the cat has no longer had episodes of loss and staring into space like it happened a couple of times before ... I hope she will continue to improve! Thank you!